Lamar was back on stage after winning Best Rap Album, making it feel like a sweep through Album of the Year was inevitable. He beat out Jay-Z, Tyler, the Creator and Migos. Curiously, he did not compete with A Tribe Called Quest for the for the honor, as they were snubbed when nominations were announced despite their flawless swan-song We Got It From Here… Thank You 4 Your Service being eligible and giving a powerhouse performance at last year’s Grammy Awards. When Dave Chappelle was introduced to announce the winner of Best Rap Album, he made a point of mentioning each member by name and saying “Hip-hop, make some noise for A Tribe Called Quest,” he said. “Can we kick it?” Chapelle would go on to win Best Comedy album after performances by Pink and Cardi B and Bruno Mars. After a performance of “Tears in Heaven” by Maren Morris, Brothers Osborne and Eric Church was another standout performance, this one by Kesha. She sang her song “Praying” along with Cyndi Lauper, Camila Cabello, Julia Michaels and Andra Day. U2 then came up on stage again for “Get Out of Your Own Way.” Then, Elton John and Miley Cyrus performed a duet on “Tiny Dancer” but not before Bruno Mars would continue a bold sweep of the biggest awards of the night by capturing Song of the Year with “That’s What I Like.” Patti LuPone performed the classic song “Don’t Cry For Me Argentina,” giving musical fans something to perk up about. Mars’s “24K Magic” picked up Record of the Year and then Chris Stapleton and the ageless Emmylou Harris performed a cover of Tom Petty’s “Wildflowers,” providing the soundtrack to the show’s in memoriam segment. With two of the most prominent deaths this year being from suicide, the poignant performance by Logic, Khalid and Alessia Cara (who won best new artist) made for a fitting tribute and certainly one of the show’s best moments. Occasionally even the Grammy’s does something shocking. Given, this is a rare occurrence for anyone even vaguely aware of trends in popular music, but still, it does tend to happen from time to time. This year it did indeed happen again. The Grammys have often operated in opposition to both black culture and true pop culture. It did so in 2014 when it denied Kendrick Lamar Rap Album of the Year in favor of The Heist by Macklemore. In 2016 he won Rap Album of the Year but lost on a clear shot at Album of the Year to a middling 1989. This year seemed to be the year that he would not be denied, with the Grammy’s seemingly embracing black culture with their pool of AOTY nominees. Yet while they have embraced black artists, they still fall short of embracing black culture, hell, they fall short of embracing even popular culture. 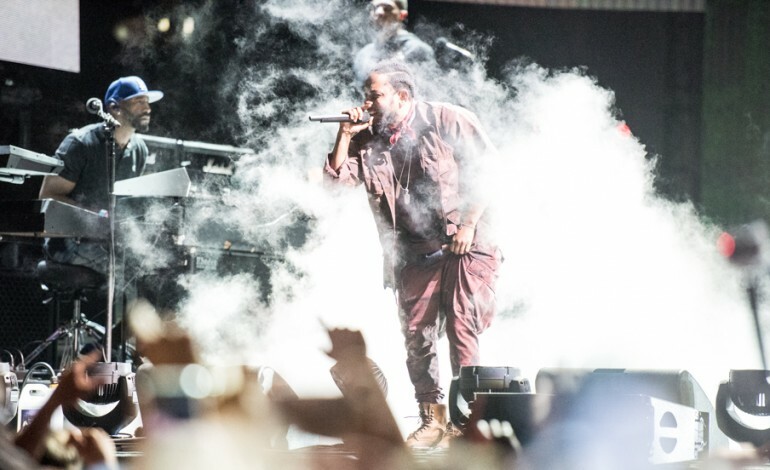 While Mars may have had more plays and more fans, Kendrick, specifically DAMN. was undeniable this year. It was inescapable and unimpeachable to anyone with a radio. The Grammys did better than they have in a long time with their 60th iteration. But if the AOTY category has anything to say, they still have a long way to go.